These are some of the most frequently asked questions by our callers. I already have gas lines installed for my current gas appliances. Can you just add a gas line connection off my existing gas Range for my new gas BBQ appliance? Gas line sizing math is always done from the combined BTU load of all shared gas appliances on the line, so unfortunately very often we cannot add a “Tee” right behind your existing Gas Range to also supply your new Gas BBQ. We strive to provide the most cost effective installation and are more than happy to show you our Gas System Sizing Math so we can work together to find something that fits your needs & budget. No matter the type of gas appliance and wherever it’s located in your house we can get the job done. I’m planning to use natural gas at home. Do I need a permit before I can get a gas line installed at home? How and where do I get one? Yes, you do need a permit for the project if you’re planning to install a new gas line in your home. 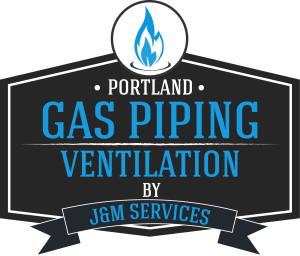 You can check with the local building department for the permit on your own or as your local Portland gas piping contractor, we can pull the permits for you. Personally, we think it’s best when the Licensed Contractor performing the work also obtains the permit, it keeps all the liability for code violations clearly on the Contractor. I smell gas inside my house. There’s probably a gas leak, what should I do? Can you help? The best way to deal with a gas leak is to call NW Natural right away, 1-800-882-3377. NW Natural will check the gas leak, locate it, assess any danger and tag the leak location. Doing this will speed up the process when we arrive. How much does it cost to get a new construction gas line installed? We actually pride ourselves on our unique ability to give very close ballpark bids with just a brief phone conversation using our easy to understand base rates. Often with a set of emailed plans including a list of your gas outlets and their individual BTU requirements and a few brief conversations we can give you a firm bid price without any site visits, saving all of us time and money. Our bid process is one of the many unique ways we can save our customers money by streamlining the gas piping process. If a site visit is deemed necessary than one of our certified Master Fitters will meet you on site to firm up our estimate. Can you install a gas pipe for my deck BBQ? Yes. Installing a gas line for a gas BBQ grill is one of our favorites. We will identify the best possible route for your gas line to your BBQ and have you grilling in no time. I currently have electric appliances, but I want to convert to gas appliances. Can you do gas conversions? Our certified master technicians will design & install a safe and efficient gas piping system to meet your needs no matter the application. Gas conversions are a large percentage of our work, the long-term savings for our customers make the choice to switch to gas appliances an easy one. Have a different question on your mind? No worries. You can call us anytime from 8 am to 5 pm, Monday through Friday at 503-395-4997. Any questions about our gas piping or ventilation services can usually be answered over the phone by our talented staff. You can also message us using our contact us page if you prefer to get the answer to your question via email. 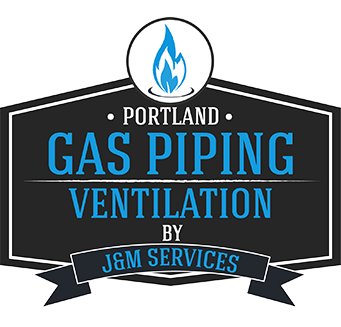 Know Portland Gas Piping and Ventilation’s gas piping services including gas line installation, repair and more.